The fringes are the most important part of the prayer shawl. The prayer shawl (Hebrew: "talit," also pronounced "talis") symbolizes the commandments of the Torah. The fringes that hang from the four corners are made up of twists and knots that have the numerical value 613, which the ancient rabbis understood as the total number of positive and negative commandments in the Hebrew scriptures. By donning the talit, the wearer is surrounded by the fringes on all four sides, reminding one of the requirements for ethical and ritual behavior. The source for the prayer shawl is Numbers 15:38. 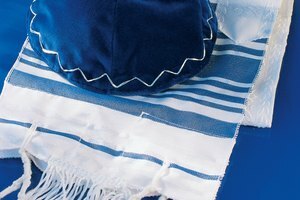 The fringes of the prayer shawl are described in Numbers 15:38-39: "Speak unto the children of Israel, and bid them that they make them fringes in the borders of their garments throughout their generations, and that they put upon the fringe of the borders a ribband of blue. And it shall be unto you for a fringe, that ye may look upon it, and remember all the commandments of the Lord, and do them and that ye seek not after your own heart and your own eyes, after which ye use to go a whoring." This King James translation, while it may seem a bit stilted to modern ears, is actually pretty close to the original. The fringes are meant as a reminder and a restraint against illicit behavior. Was the 'hilazon' a snail? The fringes are actually made up of four long threads that are looped though a hole in the corner of the garment. One of those four threads was originally dyed a shade of blue, but the source for that specific color ("tekhelet") was lost in the medieval period, so most prayer shawls today are made with white fringes only. Some groups, notably several Hasidic sects, believe that they have identified the "hilazon" species described in the Talmud which was used to make the dye (possibly a type of squid or even a snail) and have been manufacturing prayer shawls with the blue thread on each corner. The color of the thread is intended as a reminder of the color of the sea, which in turn is a reminder of the color of the sky, which is a reference to the Kingdom of Heaven. The talit comes in two varieties: the prayer shawl proper ("talit gadol" or "big talit") and the small version which is more like a poncho, often worn as an undershirt ("talit katan" or "small talit"). Observant Orthodox Jewish men wear the talit katan at all times, and the larger version during morning prayers. The size of the larger version should ideally fall to the small of the back when worn with two corners over the shoulders, although some Jews wear much smaller versions that are folded and worn around the back of the neck with four corners hanging approximately to the belt line. Women in non-Orthodox congregations sometimes wear a prayer shawl; they are typically designed with more feminine motifs and colors than the traditional white with black or blue stripes favored by men. Traditionally, only grown men wore the large prayer shawls. In German Jewish and some Sephardic traditions, the talit gadol was worn by boys after the age of Bar Mitsvah (13); in other Ashkenazic traditions, it was worn only by men who were engaged or married. Although the small prayer shawl may be worn into the restroom, large prayer shawls are not. 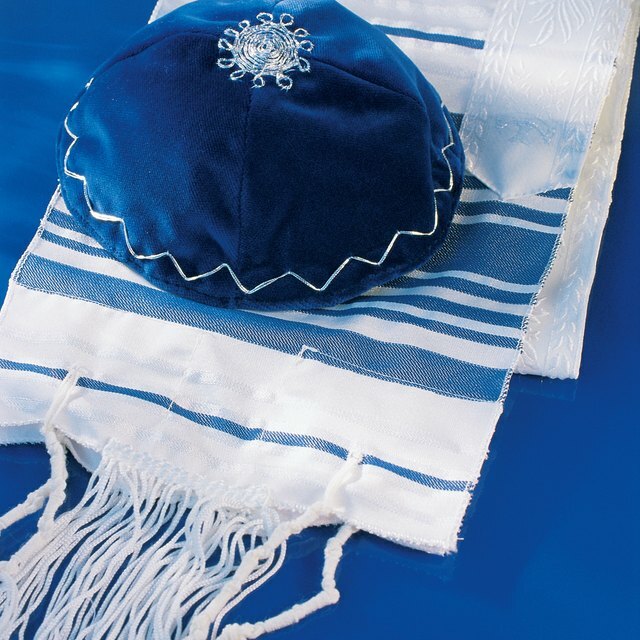 Since the essential meaning of the prayer shawl resides in the fringes ("tsitsit," also spelled "tzitzit"), care must be taken while wearing the tallit gadol. The fringes often get snagged in folding seats, and snapping them off can make the prayer shawl invalid. 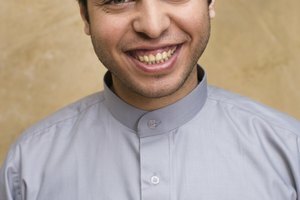 In fact, the wearer may be required to remove the entire shawl, since rabbis have ruled that a four-cornered garment that does not have the appropriate tsitsit may not be worn. Almoni, Ploni. "What Is the Meaning of the Jewish Prayer Shawl?" 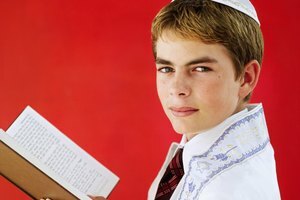 Synonym, https://classroom.synonym.com/what-is-the-meaning-of-the-jewish-prayer-shawl-12080931.html. 29 September 2017.